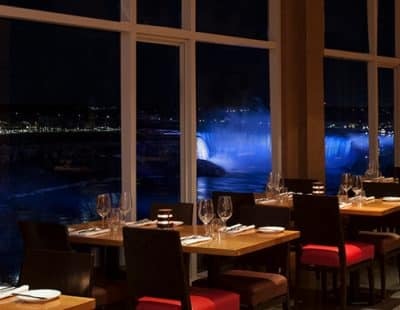 Get deals on the most elegant Niagara Falls restaurants and the Christienne Fallsview Spa, check out wineries, and get free cocktails in this romantic package for couples. The Sheraton on the Falls Hotel offers a direct indoor connection to one of the most action-packed family getaways, the Fallsview Indoor Waterpark. This Niagara Falls waterpark has more than three acres of fun for the entire family. This is truly an experience to savour. This stay includes a guided afternoon tour with transportation and tastings at four of Niagara’s award-winning wineries. Plus, get bonus dining and spa gift cards. Spend Spring Break at Sheraton On The Falls & Fallsview Indoor Waterpark! Receive attractions, dining & entertainment passes for 4 when you stay between March 8th and April 27th! The one-of-a-kind Christienne Fallsview Spa provides a tranquil environment overlooking Niagara Falls. Get sublime signature spa treatments with a breathtaking view, plus wine tasting, cocktails, and dining gift cards. 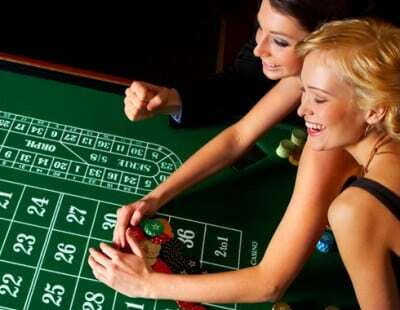 Play to your heart’s content with this Niagara Falls package that offers a casino voucher at one of two exciting Niagara Falls casinos. Additionally, take advantage of wine tastings, plus spa and dining credits. Besides the engaging entertainment you’ll partake in during one of our Niagara Falls package deals, you can also look forward to serene, luxurious, and spacious accommodations that will make you feel right at home. Learn more about our rooms here, and book a Niagara Falls package now. The staff at Sheraton On The Falls is committed to creating the perfect Niagara Falls experience for your family. If you have any questions about any of our enjoyable packages, give our team a call at 1-888-229-9961. We’re happy to help.